Blonde Hair Shades – Perfect Shades of Winter Blonde Hair. I’m going to let you in on a BIG secret… I’m 80% gray. I started to get gray hair in my early 30’s and it just got (dare I say it) worse and worse. What can I say – it’s in my DNA! At that time in my life I had just had my 4th son Henry and I didn’t have time to shower (!!) never mind go to the salon and get my hair done. I let my root grow as long as I could that 1st year of Henry’s life, but it was just all salt and pepper. I’m naturally a dirty blonde, so I’ve always had glints of browns and blondes and reds in my hair, but the gray hair was really starting to come out and I just didn’t like it. This is really when I decided that coloring my hair regularly was my only option. I was WAY too young to be gray! When you start to go gray, if you don’t want it – the best dye choice is to go light. Light hair masks the gray longer than going darker. 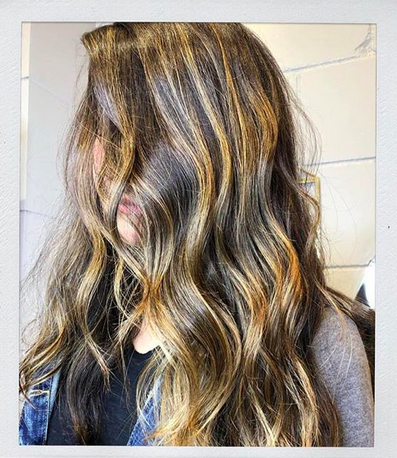 I would literally have to go every 3 weeks for a color job if I went dark, so going lighter for me gave me about 6 weeks to feel and look my age! I’m all about Blonde Hair Shades!! Blonde has been my color for the last 10 years. I love it! I never thought I would love it as much as I have and it’s a color that I’m comfortable going with year after year… until I’m ready to fully embrace my gray hair (which I’m still not there yet!). 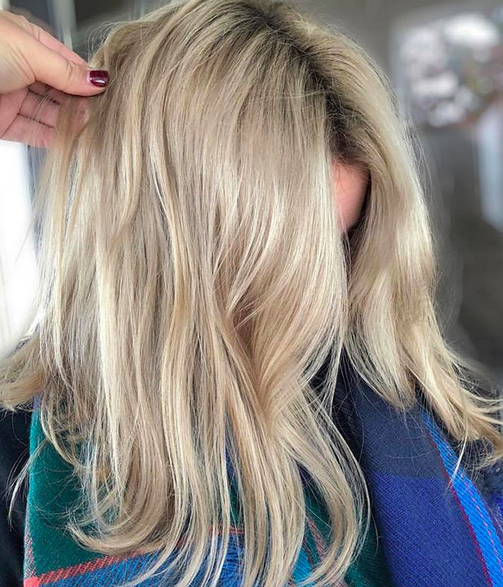 I’m always on the hunt for some fabulous blonde colors because I know I’m not alone in dying my hair blonde in the winter – regardless of why you do! My sister doesn’t have a gray hair on her head, but she’s just always been a blonde. I’m also someone who amps up the blonde in the summer, but goes a little bit more subtle in the winter. 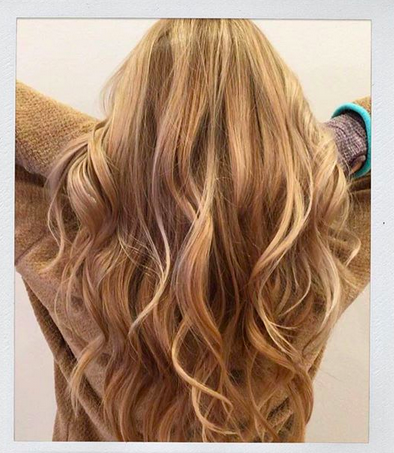 There are so many ways you can wear and rock winter blonde! 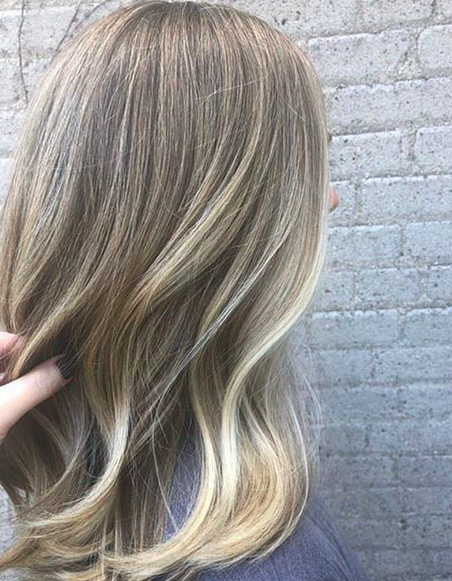 If you’re a brunette looking for a little blonde to brighten up the winter – you can do it! If you’re a blonde looking to have some extra fun in the winter – you can do it! 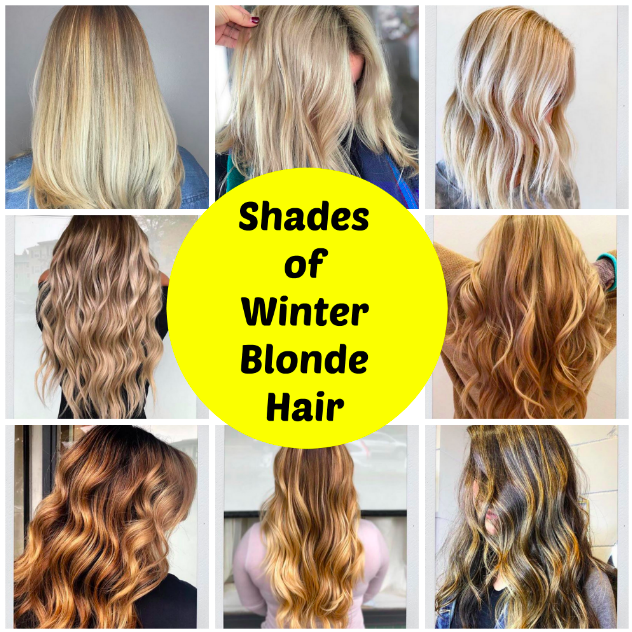 I love that there are so many options for Winter Blonde Hair. There are so many Blonde Hair Shades! Looking for some Perfect Blonde Hair Shades? My friend Leah owns a salon in Providence called LaLaLuxe! She’s always shares some gorgeous creations that her and her team come up with and I love them! 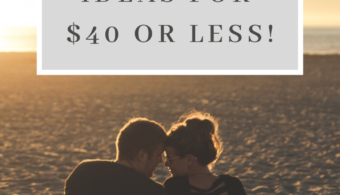 I was so inspired by her photos to showcase some really easy and fun ways to go for Winter Blonde Hair! 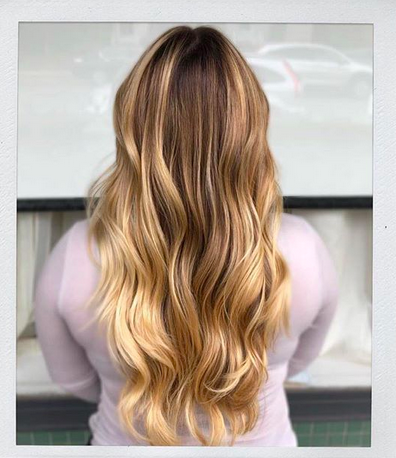 She does a fabulous job making you feel beautiful and adding some blonde locks is a way to make ME feel extra beautiful, too!! 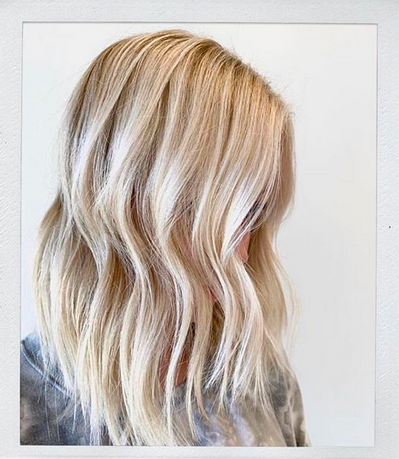 I’m thrilled to share some of Leah’s work and give you some hair inspiration on the Winter Blonde Hair front! Go blonde ladies! Do it! I’m all about sharing the blonde love here! I’m a BIG proponent of having blonde hair year round! It’s always a good time for blonde hair, always! 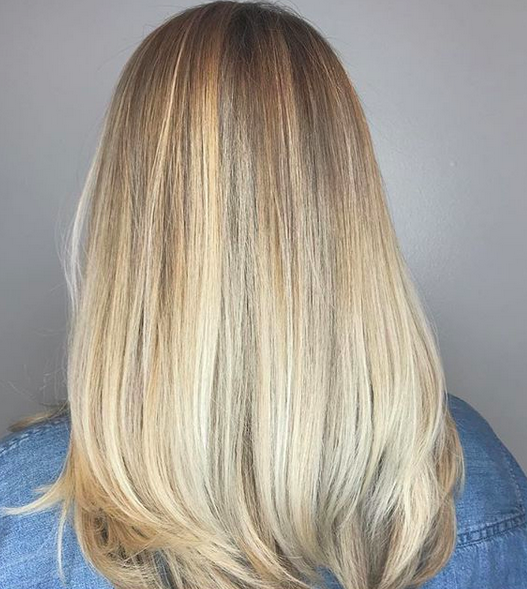 Just a little Winter Blonder Hair love! 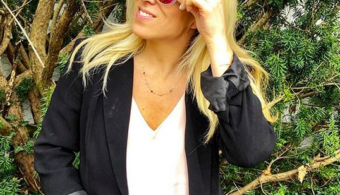 I hope you love these Blonde Hair Shades – I’m swooning at these highlights and colors!! So gorgeous! I think it shows that you can easily rock blonde anytime of the year! I always feel that women think that they have to go full blonde to feel blonde… and you don’t!! I’m all about adding in bits and pieces here and there when you need to and want to! 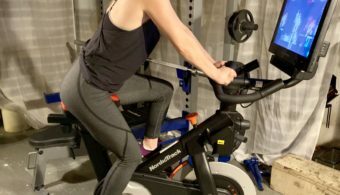 It’s a fun way to make it work for yourself. Make sure you know when you want to do it. 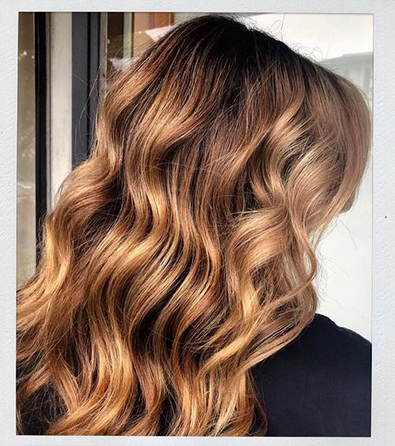 It takes a little extra time for brunettes to go blonde, but make sure you know it’s what you want! Blonde is just a great way to go too if you’re gray (like me). I’m all about making sure my gray hairs are hidden by the blonde. It’s the little trick that I do with my hair that I love! It’s easy to do and it’s a great way to make it look like it’s natural. Looking for some Summer Hair Colors, too? 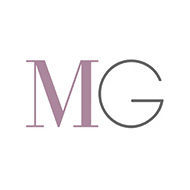 Make sure you check out my post on the best summer colors for your hair. It’s fun to make yourself bold and bright in the summer. I personally think it’s a ton of fun and cool to do! 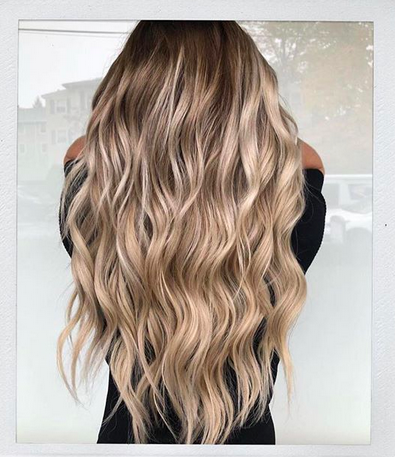 When you start looking at different hair inspirations, it makes you feel more and more excited! Make sure you take the time to tag and mark the photos you love! Let me know too where you find your hair inspiration. Is it over on Pinterest? Is it within the salon? Do you let your hairdresser help you? Where do you find styles and cuts and colors that you personally just love? It’s always fun to see where people find their hair inspiration! I’m all about looking on Pinterest and I make a board specifically for hair. 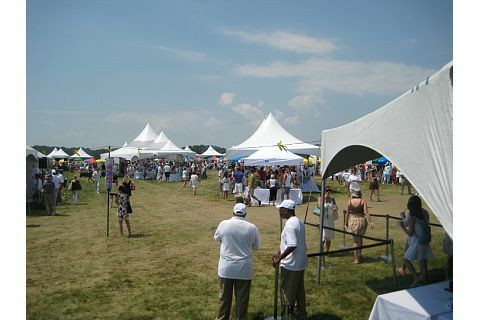 It’s where I go and enjoy the styles that I love and show them off to people. For more info head over to LaLaLuxe Salon! !